Local SEO, Learn How To Fix It Yourself. fix it yourself in 2018.
finding your small local business. Always strive to maximum satisfy your potential visitors and customers ... Are your content, useful and interesting to your audience? Is it unique enough, to stands out from your competitors? The most important local SEO actions. Why is it so important to make your NAP Data, very easy visible? Do not aim for perfection, write and posting on your Business sites first for human beings, your potential visitors and customer. Your small Business are there to helping, to solving your target audiences. People, will always click on your sites, visited your store, Because of Why you do what you are doing, Why you offers your products or services. Why Should You Verify Your Small Business With Google? MidlifersWebBusiness.com Gives You Free Tips and Guidance. According to Google, makes people an average of 12 Internet searches before they decide, when and to what Business/Store, they will visit. Make sure your business, is amongst these 12 searches people makes. That your small Business are perfectly ready to help and resolve your laser-targeted audience search intent. Did you know that Google now processes over 40,000 search queries every Second, 24/7... To be easy found on internet must be first priority, for you and your small Business.. But the problem for small Businesses (1-10 people including the owner) is that still in 2018 more than 50% have not one or a very poor internet presence. So, the purpose of my website is to help small Biz, become very easy to find on internet, when consumers make related local searches..
LET'S TAKE 4 MINUTES OVERVIEW VIDEO.. Even if you are the "newest newbie"... I believe that you can easily fix, the most important local SEO foundation, by yourself, with the help of my tips and guidance. That will give your potential visitors and customers, a fair chance to finding you on the web. But you should absolutely not feel overwhelmed, and thinking that Local SEO "it's too much to learn for me", i have no time, i don't see the need, and i am not so interested... The first thing you should concentrate on, is to perform the "4 pillars" below... Install them and there is a much bigger chance for your small Business, to be found by your target audience. However, i will be frank with you. Because I won’t even pretend to know all the complicated SEO, criteria that search engines track, not even how they weight them..
All you have to do as a small biz, is “skip the maths” and jump straight into, creating and deliver what your target audience, your potential visitor and customers, actually are seeking fore... In this article, you will not find any local SEO trickery and manipulation tips, but just natural certainties, about Why and How your target audience, will find your small Business. is an part of your local seo. Citations, peoples mentioning of your small local Business plays a very big role as a part of your local seo efforts today.. As social media has increased its importance in people's everyday social life, is a natural consequence that different experiences with different Businesses today will be mention. But it is of course not only people who see this, but also the search engines are very quick to note this.. Positive or negative, you as a small Business owner should be aware and very quickly follow up..
over 90% of all businesses. Just to shortly mention some figures. According to OECD, small and midsize Businesses accounts for over 90% of all Businesses. Those employ 60-70% of the working population Globally. Your own small local Business, maybe not are one of the big global influencer. But with the help of a real internet presence, your small Business will be a big fish in your local pond. And if you as well can offer e Commerce, certainly you will also get visitor and customers far away from your area, there is many successfull examples of that.. 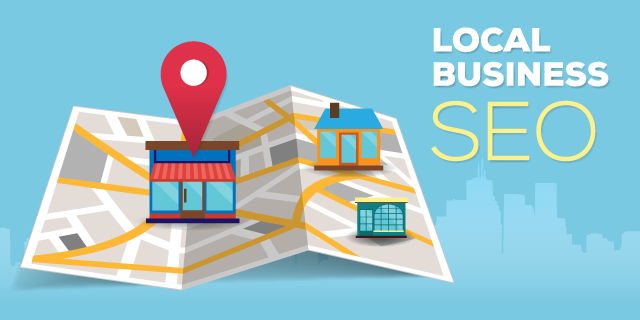 There are four local SEO "pillars" which is today crucial for any small business. Why are they so important? Because people today have access to the internet 24/7, they have much more technical advanced computers, people have acquired smartphones and other mobile devices, that constantly gets new features ..
As i repeatedly have said. People are using internet to find all and everything, to solve problems, to find Businesses, products and services. So of course, must your small Business be there, very easy to be find, to assist and give people exactly what they are looking for..
Today have most of your potential visitors and customers, a different behavior pattern on the Internet, compared for just few years ago .. People expect that today, all local small business, offer a complete Internet presence. If not, the seekers simply find your competitors sites.. Here below you see those "4 pillars"... Implement those, and your small business, will always driving at the Internet's "HighWays" for local small Businesses. THE "4 pillars" internet presence. Verified that Business Site with Google. Establish your Social media Business Sites. Become a problem solver, overfill your Business sites with your own unique and "home made" content. That type of content that can solving your target audience, search intent. Now that you have taken the first steps, by technical placed, and make your small local business visible for humans and Google on Internet, it's time to fold up your "sleeves", and get to work.. Because now you will make your business sites, as unique as your "brick and mortar" business are. Your potential visitors and customers are real human beings, and can directly feel and smell when they landing at your sites. Since you know exactly, Why your local Business exists and Why you offers your products or services... And about "why" i don't mean to earn money or make a profit, because that is a result and will always be Results..
Local SEO, Helps People Find Small Businesses. MidlifersWebBusiness.com Give Free Tips and Guidance. Begin at the right end, start with why. Simon Sinek, use to say: Regardles of the size, or the industry. All small businesses know 100% what they do. Many also know how they do it, different value propositions, your proprietary process or your business USP (Unique Selling Point) .. But very few small Businesses, know exactly Why they do what they are doing.. And with "why" i dont mean to earn money or make a profit, because that's a result.. By Why, means the purpose of your business, what is your strong believe of. Why did your local Business exist at all. Because no one can be you. You are real, Your personality, your own warm and honest interest for your business, your products or services. That is why your small "brick and mortar" or web business becomes unique. FIND YOUR NICHE AND START A SMALL BUSINESS. YES I BELIEVE YOU ARE MUCH CLOSER TO FIND YOUR NICHE THAN YOU EVER CAN IMAGINE. What about Google and local seo. During the summer of 2014, Google made an update, as they called for "Pigeon update". The aim was, to Provide Consumers a more Useful, relevant and accurate local search results. In 2015, there were several updates, first was to become a mobile friendly site, later in the summer came several updates that rather a change in the way local business information is displayed on the search engine results page. In November came an update which was about customers rating, and it will have an influence on search results. Anyway, the "pigeon update" which started in 2014 and then continued in 2015 and now even in 2018, aims to help people doing local internet search to find valuable and relevant local search results. Social media and local seo is huge.. Anyway, the best result will those small businesses, that use a mix of organic and paid search. For example, On Facebook you can tailor made small campaigns to your local business from only $ 1 dollar per/day, and that will give you very good result.. Since facebook in 2016 have made changes to simplify for small Businesses. an example of "boosted" Facebook post. During the last year, Facebook have become much more user friendly and adapted for small Businesses. Make sure you get a Facebook Site for Business, as sone as you get your Business verified with Google.. Don't forget that the other Social media, also have their own sites for small Businesses..
After all, every person have today a Social media account. So regardless your country, your size, or your industry. Your potential visitors and customers are already there, so it will with no doubt to benefits your Small business..
Just remember that your Social media sites, can never replace your own business website.. And your Social sites are absolutely not a place for heavy sales pitch... Use Social media for what it is, your Social sites is meant to be a low-pressure, relationship builder, between your Business your visitors and customers. It is a place to build loyalty to your business, where people can write reviews, where you can quickly answer your local customers' questions and build a community..
Social media is simply a place where you in a very relaxed way can express, the purpose of your small business, why you do what you doing, why you offers your products or services to the audience. Concentrate on that, and i promises you will very soon se stunning results. However there is no need for you to posting 10 times per day. 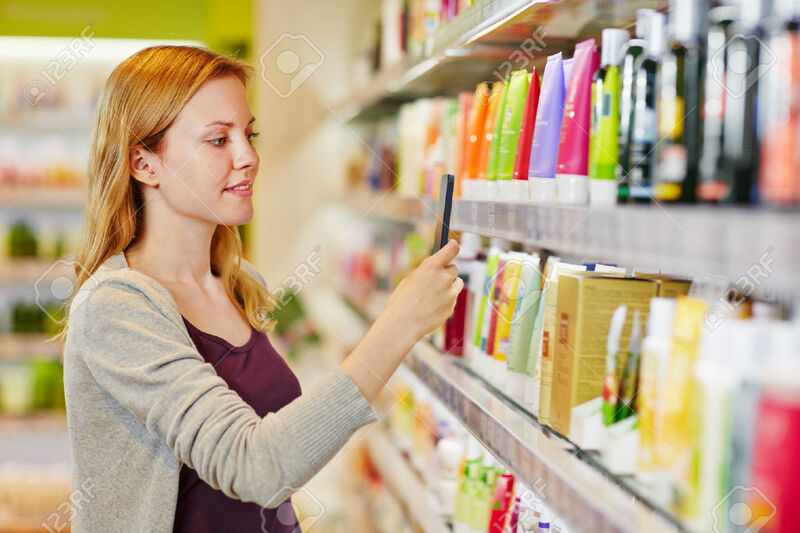 But for example make a post with foto, when you get now products to your store, don't forget to always place a link to your own Business website, when you makes your Social updates. I have written an Article about, Why will Social media benefit small Business. During my over 30 years experience of run my small business is "word of mouth" worked just fine as Rating and Review. 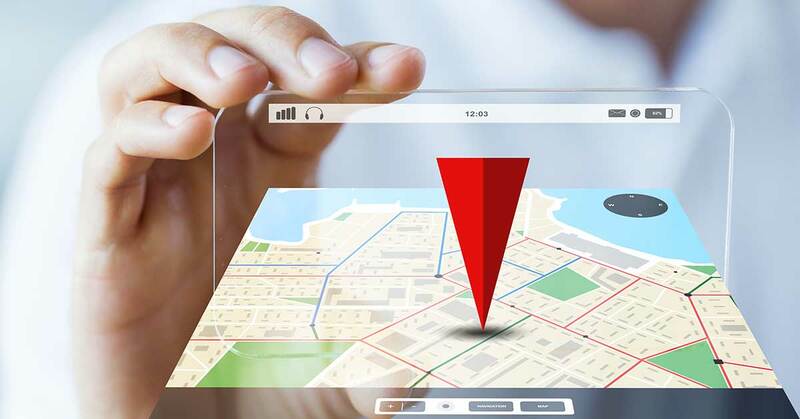 But as you know only over the past 6 years, the dramatic development of the Internet has completely changed the game rules, and the way people make their "word of mouth" Ratings..
How can local SEO, Help Consumers who make Local Search. MidliferWebBusiness.com Give you Free Tips and Good Advice. Your potential customers and your local business, both have great benefit when customers give stars and write reviews. But it is people's behavior patterns, which is interesting. Once you have registered and verified your Business with Google (which is free), your customers can submit a review and give you stars. It turns out, that business who have 3 stars, which can increases their attractiveness with 50%. But consumers who find a business when they make their Google search that have 4 or 5 stars, then chances raise to 80% that the consumers choose this Company. So you have to make sure you encourages your customers to submit an review on your business, product or service. local businesses beat big brands. Another great advantage of being a local business, is that you can beat the big brands. You as an small local business, have the great advantage that you can very easily get closer to your potential customers, you can create a relationship that big business have a very hard time to achieve. For example, your small local auto repair, your electrician, your local florist shop, your local supermarket or your local gardeners. You as local business has the advantage of knowing your customers, their needs and this creates of course a strong confidence, and mutual loyalty. have seen his youtube videos. do you know "why" they done it? For your small local business it means today to your users and customers are digital, they have much smarter and many more tools and channels to search and find your biz, to rate your products, your services and your over all business..
As I have mentioned, far from all small local businesses, has kept up with in the very rapid development of the internet and all the new devices, in the same way and speed as the potential customers have. But don't worried, as i said above, with just small and simple actions, you can quickly catch up and become standing in the local business spotlight again. As a small local "brick and mortar" business, you don't have many online allies that is so powerful than be mentioned by peoples in their everyday talk e.g. on Social media and customer-written reviews. You also have in many industries, definitely a great opportunity to reach out to an unlimited audience, if you can offer e Commerce... Obviously here again plays Social media and reviews a crucial role, when it comes to your possibility to get potential customers to make a purchase in your online store. 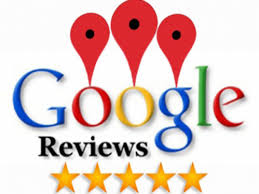 Reviews is today an Important ranking factor, for your local Business. MidlifersWebBusiness.com Give you Free Tips. how to get customers to leave Reviews. The first thing to do is in a polite and clear manner, don't be shy, just ask for it. For a coffee shop or a bar, it could be a reminder on the receipt. If you are offering e Commerce, it is perhaps a piece of paper that is included in the delivery with a friendly reminder to leave a Review. How it looks depends on your business, but was clear. Once you verified your business with Google and established your Google+ page, so have your customers an easy and smooth opportunity to make star rating and write a Review, do not delay one more day, making this Free action with Google. We take an example. In the spring time 2017, when I bought a new subwoofer to my car, I made this with e Commerce. When it had passed a couple of weeks I got a nice e mail from the company who wondered if everything was OK and if I was satisfied? At the same time they asked me to write a Review, which I did and left a short recommendation based on my experience. So if you already have or plan to start offer e Commerce, install an option for your customers to make a review on each product on your site. Where consumers in general leave their reviews can vary, depending on which industry you are in. Start with the simple basic, install, Google+, Facebook, Twitter and Pinterest on your buisness site. It is better to concentrate on a few Social media that you can easily manage and be very good at, of course you can always expand later with more if you want. So make it as easy as possible for people to review your business, focus on the basic numbers of social media platforms most of your audience are using. Are you in an specific niche and you already know most of your users and customers use a particular social media channel, of course install it. But as i said, always include the basic 4 i Suggested. Anyway, by starting with these highly visible, easy to handle comment options, so would there be no doubt that your visitors and customers have an opportunity to leave a review about your business, products and services. Breaking News ... SBI is married with WordPress! EVERYONE CAN today BUILD A WEBSITE..
FEW BECOME PROFITABLE ONLINE BUSINESSES. How Does SBI! for WordPress Work? Whether you are a brick-and-mortar, or you're an infopreneur or an individual blogger... This is probably the most advanced and easy to handle keyword research tool of its kind, on this Planet! Click Here. Today You need customers to survive and thrive as a business. But to attract customers, you have to provide the right information, precise the information that your target audience is interested in. Discovering that, well… that's the real challenge, isn’t it? Certainly, it's not nice to get bad reviews, but thats the reality of today's quick online communication. It's just for you to face it and take actions as soon as possible. Bad Reviews from some one have always been there, until a few years ago, ie before the "social media family" became common, it spreads with the "Word of mouth" and it took longer. The advantage for your local business to have your social media sites is that you can very easily and quickly be in control and correct the bad reviews. The worst thing you can do is bury your head in the sand and hide, hoping that it will disappear by itself. Then only one side to be seen and shared, namely: the reviewer's negative stance. Suddenly this has a psychological effect on others who are starting to see only negative things about you and your business. As soon as you declared that you will grasp a problem and a disgruntled client right now, try to move the conversation as quickly as possible away from the public limelight, this applies especially social media. There is no reason to bring the conversation about compensation in front of an audience. Investigate and solve the problem as quickly as possible. Millennial Shopper Did Their Research Online Before Buying In-Store.. MidlifersWebBusiness.com Give Free Tips and Guidance on Web Presence. Then you should write that you have come up with a solution to the problem, especially if this has been an unhappy customer, who ruled on the matter in social media. The large audience can then see that you have quickly resolve the problem, and everyone is happy and satisfied. My experience is that a dissatisfied customer who quickly received help and some form of compensation will quickly spread that out, and you can be for sure, that this person will return and continue to be your customer. This is psychology, especially today when the internet makes an immediate and wide dissemination of the Reviews. If you do not respond immediately, a dissatisfied customer, can very quickly obtain a large psychological effect on other customers. Obviously you need to examine if a complaine is legitimate, there is troll out there, there are people who just always want to be negative, always want to find fault, and even fabricate faults.. When you resolve a problem with a dissatisfied customer, make notes so that you can detect patterns, and other details of future dissatisfied customers. Take a short Break! Listen to. Martin Shervington, Mark Traphagen and Eric Enge. They talking about the future of Google, Search, Social Media, SEO and Content. The importance of the Social media. As a small local business, it is important to you look at the "Social media" in the right way. To constantly publish lot of stuff everywhere, in the belief that your content and your business will take off is probably not true. Social media works today as an important relationship builders, where your business name will be mentioned in people's everyday conversations, people can make recommendations of your local business your products your services. That reposting social articles, content with the most clicks and visitors, multiple times is according to Mark Traphagen at Stone Temple Consulting, an excellent idea.. Look at this episode of "Here's Why" when Mark and Eric talking about that.. Social Promotion Is Not a One and Done Activity.. It is extremely important to be there no matter if you are a small local electrician or a trendy fashion store. Show that you lives by making update, and publish valuable and relevant content, don't forget to upload many relevant images and videos. And of course a link to your Business site, where you have different relevant offers. However, much depends on what your local business is all about, not all consumers are super interested to "follow" the local plumber, but many would be willing to write a short review on a plumbers Facebook page and thanking for the very quick, emergency assistance, to a reasonable price, as the service minded local plumber did a Saturday night. When a family suddenly get a large water leak in the kitchen counter, because of a failure in the dishwasher. And they perhaps even attaches a photo, taken there and then. So again as a minimum install, the four Social media at your site that I have mentioned, in your internet presence today. For example Facebook is "facebook.com" you don't own that domaine, You will never have full controll over any of your Social media sites. You shall use your Social media sites like a thick conduit to quickly transport, visitor and your customers to your own business website domain. There it is you who is the captain and have full controll. I have written a Article about your Social media presence. Your Business Social sites is just "Social" sites, a place where people can relax and talk about your Business, and for example discover a photo of you when unpacking the new products that arrived this morning. In the post you also have written some few lines in, placed a link to your Business website, (which is the place for more sales info).. Don't forget to press the blue "boosting" button, and you will reach your laser-targeted audience, from $1 per/day... So damned simply, quick and inexpensive, isn't it..
why will people click on your sites? As always, whether you are an super local or a global business, focus on the users, dress yourself in your visitors clothes. It always wants to be Why you offer your content, which is the main reason why people choose to click on your links. Like the well-stocked shelves in your "brick and mortar" business, that causes people to pay a visit, and make purchases. Create extraordinary, valuable and relevant content, on your user and mobile friendly Business site. The customers will say, "Wow this is just what I was looking for". And they will share it on social media, mention it to to friends and others in their everyday conversations. Google will see this and all the signals, and give it an extra boost. Google will push it up, make your local business, more visual, people will easily find it when they making their internet search. Always become local. Place local phrases, local keywords on an naturally way into your content, your images, your videos, (but no keyword stuffing). But do not forget that you can also attract customers beyond your natural geographical region, use the appropriate product names, phrases. Keep in mind that consumers do Internet searches and your local e business can attract visitors who live far away, perhaps even in another country. The prerequisite is that your business can offer e Commerce... I have also written an Article about Content Marketing. find local keywords and phrases. Brainstorm It .... Probably Today's most advanced and easy to manage, Niche and Keyword Research Tool of its kind on this planet! Absolutely no factor overlooked. Take a taste bite, how to find local keywords, how to find your niche, how to get traffic. In this short video, you will get an overview of what to begin with, and why .. Press play and watch this video now .. In this 2018 there is no doubt at all. I believe that all small local Businesses should have a mix of free and paid marketing. The digital time era have really changed the circumstances dramatically, you only need to look few years back in time. The digital revolution have also struck locally. All of your potential visitors and customers have today advanced internet devices, like a smartphone to find what ever they wish to find, on internet..
All of your potential visitors and customers have today advanced internet devices, like a smartphone, to find what ever they wish to find, on internet. 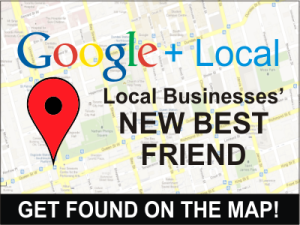 So make sure that they also can find you..
Register and verify your business with Google my Business. Register and verify your business with Bing places for Business. Ignore all Free blog and website offers, be sure that you own your business site. Creating a mobile friendly business-blog or website, where you can offer e Commerce. That people choose to do local e Commerce today, is a sharply rising trend in most countries, don't miss that opportunity. Place your NAP data very well visible on absolutely all of your pages. NAP stands for. Address (complete) to your Business. Obtain "Click to call" This is very important because the largest majority of your online visitors, want to be smartphone users. Here you can see things that are important to your visitors. But of course also for the search engines so that they can quickly find and understand what your site is all about. This helps the search engines to match consumers search intent, with your extraordinary, valuable and relevant content. File Name, your specific keywords for each page should be the filename. Page Title, your specific keywords must be found in the page title. Page information, your specific keyword must appear in the description, but did not repeat the page title. Think of the description as a super compressed ad, about your article. Invest time to make it perfect. Keyword, each of your web pages, your article must focus on a specific keyword. But never stuff your articles, today's search engines are so smart that you will be punished if you upholstering of your article.. Heading, include your specific keywords once, make the title interesting, short and powerful, appealing to people who scan. Sub Heading, It makes it easier for you to write the article easier to read, easier for scanners to assess whether they want to read it, include the specific keywords for the article once, in one of the sub headings. Page Content, always fill your mobile friendly site with extraordinary, valuable and relevant content. Always write first and foremost for human beings and remember, that it is always your content that's the biggest reason why people choose to visit your site, reading, looking at photos, watching videos and last but not least choose to share and give the Review and star ratings. well it's time to wrap things up. So in this article you've got an update on local SEO, and some important points when it comes to making your small local business visible on the Internet.. As I have said, today is not about to consider whether you may be creating a proper internet presence. Today it is all about focus on the users. Because your potential visitors and customers, expect that they can find you on Internet. Today, customers also expect you to offer e Commerce if it possible. Even when people making local purchases, e-Commerce is absolutely a sharp rising trend. And many industry, small local shops, have start to offer e Commerce on a small scale to compliment the sales in the store, during low Season. They have quickly optimize their business site, in order to capture potential customers who live geographically far away from the store. There are many examples, in different countries, where such a small extra supplement as e-Commerce, very rapidly grown and made it possible to expand..
To acquiring new premises, hire more staff, and suddenly their e Commerce accounts for a majority of the revenue. So remember that your competitors may have already implemented a "4 pillars" internet presence, or very soon do it... Do not so easy give away potential visitors and customers to your competitors, when they make their Internet searches.. Thanks for taking your time visit my Website. How to increase web Traffic. Move to Portugal start Online Business. How bricks-and-clicks benefits Biz and Consumers. A Disabled person can make success start e Business. Read Erling. A . Sjokvist's Newsletter on Nuzzel. Move to Portugal start internet Business. SEO For Midlifers And Small Businesses. Why a Disabled will make success with Online Business. How To Find local business in 2017? Online Business Ideas. Brainestorm It. How to create a Business Blog. How to getting Traffic in 2017? Niche and Keyword Research Tool. How Senior Citizens Find Jobs. Internet in India a Smartphone Revolution. What is e-Commerce and benefit for small businesses. Why Will a Website Tool Make Your Business Site Magnetic? Why is this Website tool, so unique? I Believe it give you an outstanding internet presence, that solve people's search intent. And increase Web Traffic..
About Me Midlife Career Change and Moving to Thailand. About me, who making an midlife career change. A very fast travel, in to the 21s century. Help People Find Your Local Business, By Start Online Business. Start online business, provides your brick-and-mortar a proper "4 pillars" user and mobile friendly internet presence. Why & How Will Bricks-And-Clicks Benefiting Your Small Business? What means "bricks and clicks"? Why will it give big benefits to small local Businesses?? 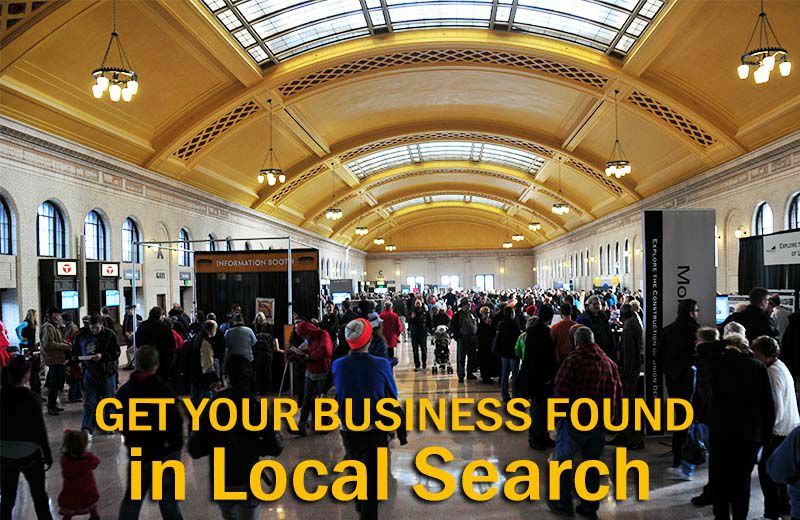 Because Over 70% of all web Searches, have a local intent..
Local SEO, Helps potential visitors and customers, to find your biz on local search, before they discover your competitors. Learn to easy fix it yourself..
Find Your local Business, How can you easy, help potential Visitors and Customers to find you on internet. Before they discover all your Competitors. Why Will Social Media Marketing Benefit Local Businesses. I Believe Social Media Marketing Will Benefiting Local Businesses, Even more in 2018. Because Your Potential Visitors and Customers, Are Already There. Online Business Marketing Mistakes That Crushes You. Your online business marketing can be Ruined just by some Few simple Mistakes.‏. SEO Is Not Dead But CTPM Gets Increased Importance..
SEO is vital. But the natural CTPM get increased importance. Focus always first on the users, by deliver theirs requested content. Content Marketing That Boost Small Businesses. Content marketing make a big difference for small Businesses. Because it solve the audience search intent, and telling the purpose of your small Business. SEO For Midlifers And For Small Businesses. SEO for midlifers, SEO tips for small Businesses. It's about making your site: user, search and mobile friendly.. Create A Blog And Start Vlogging In 2017. Advertise Business Online It's More Inexpensive In 2017. Advertise Business Online, Is today easy, quick and inexpensive. A well balanced marketing model for small Businesses, is a mix of paid and organic results..
Online Business Ideas. How You Find Them And Selects. How To Getting Traffic To Your Web Sites? How to getting traffic? I believe that "Pillar Content" is the solution. Because it will help to solve people's search intent. What Is e Commerce, Why Will That Benefits Small Businesses. What is e Commerce? What's in it for you, your visitors and customers? How can you as Small "brick and mortar" Business easily implement it, Today? Start A Infopreneurship, Your Midlife Career Change In 2017. Start an Infopreneurship. The increasing use of the Internet, Creates huge demand for unique and relevant Information. This will be your best midlife Career Change Ever! How to increase web traffic. Clarify the purpose of your small business, Implements the "4 pillars", Always use a mix of paid and free search results. Jobs For Senior Citizens, Why Is Internet The Solution. Jobs for Senior Citizens? Are you 47 and superfluous, or a retired 58+ We all need cash in the wallet, But most important of all, Something to do and which is also Really Fun. Find Your Niche, Based On Your Interest. Find your niche, that can become your passion. I Believe you are much closer to find it, than you ever can imagine. Start searching amongst your Interests. TAKE A LOOK AND FOLLOW MY TWITTER SITE..